The online Master of Science in Nursing Education prepares graduates for positions in pre-licensure nursing education, professional staff development and patient education. You will enhance your basic nursing knowledge and learn nursing pedagogy, curriculum development, and testing and measurement. Ranked No. 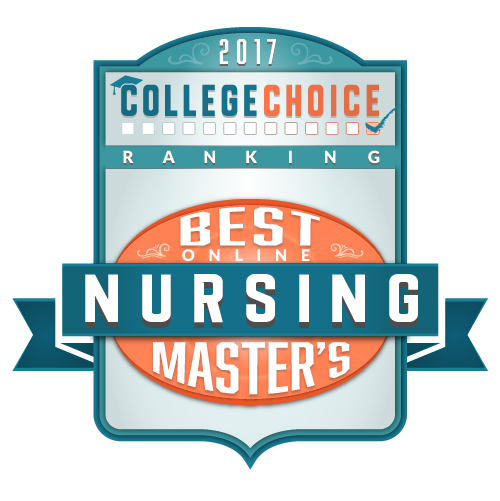 11 nationally in the latest U.S. News & World Report listing of "Best Online Master's in Nursing Programs." Begin your career as an academic educator, staff educator or patient educator. 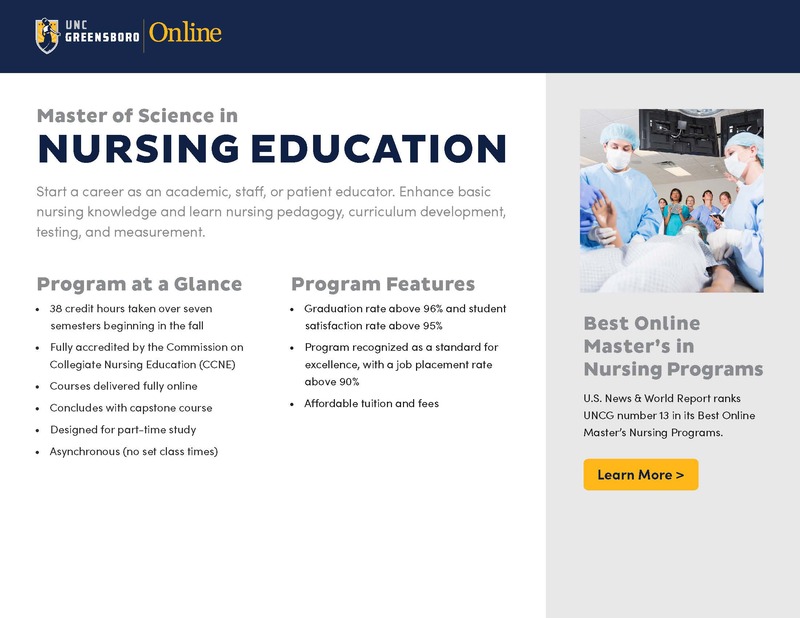 Ready for a closer look at the online Master of Science in Nursing Education? Our brochure provides complete program details, admission deadlines, start dates and graduation requirements.